Music and skateboarding go hand in hand. When you think of skate boards and the people who ride them, it’s almost impossible not to start thinking of the soundtrack to go with them. 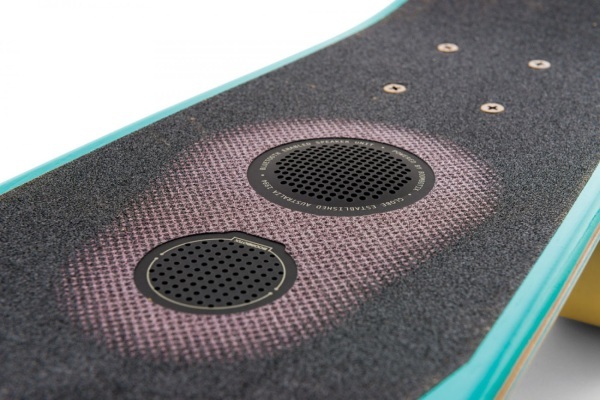 If you ride, now you can pump out your music right from your board with the GLB-GSB Blazer, the skateboard that comes equipped with a Bluetooth speaker. I don’t know if I would try to grind or really any sick tricks with this board. It’s got a speaker attached to it, feel the base right through your feet while you roll down the street. You don’t need to worry about headphones, just connect your Bluetooth enabled music device of choice to your board and go about your merry way. It charges via USB. At full speaker volume, you will only get about two hours of sound. At the lower volumes you can get 6 or more hours. The speaker takes 3 hours to charge fully. 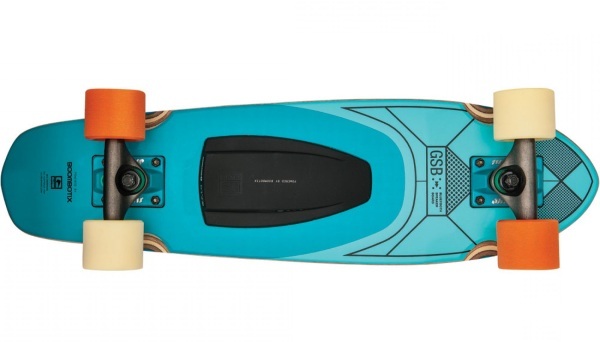 This is a real skateboard, you can ride on it. The GLB-GSB Blazer is $249.95.